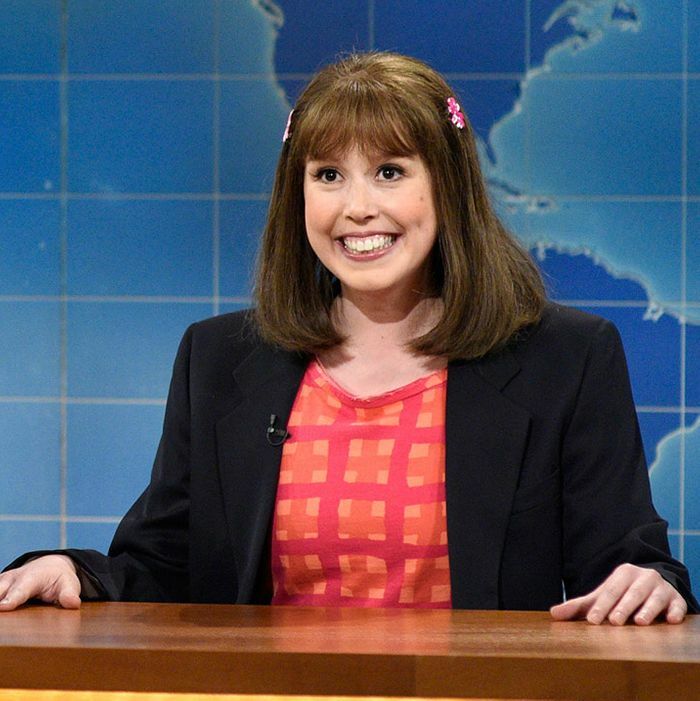 Vanessa Bayer on Weekend Update. For seven seasons, Vanessa Bayer has served as Saturday Night Live’s resident straight woman, her bright smile and bubbly vibe making her the perfect wife, mom, or daughter opposite more wildly absurd characters. Whether she’s grinning her way through another exhausting run-in with boring British babe Gemma (Cecily Strong), lovingly making her boys some game day snacks, or playing some variation on a less-cool best-friend type, Bayer is as great at grounding scenes as she is on her many standout Weekend Update appearances, making her an invaluable SNL staple. The word is Bayer is leaving Studio 8H for an expanded role on AP Bio, the NBC comedy created by former SNL writer-cast member Mike O’Brien and produced by Seth Meyers and Lorne Michaels. If her scene-stealing roles in Trainwreck and Office Christmas Party, cameos on Portlandia and Crashing, and unforgettable SNL sketches are any indication, Bayer’s got a bright future wherever she decides to go. Despite the fact that they did it so many times, and that they were playing completely abhorrent characters, this Bayer and Strong bit and their perfect dead eyes never got old. 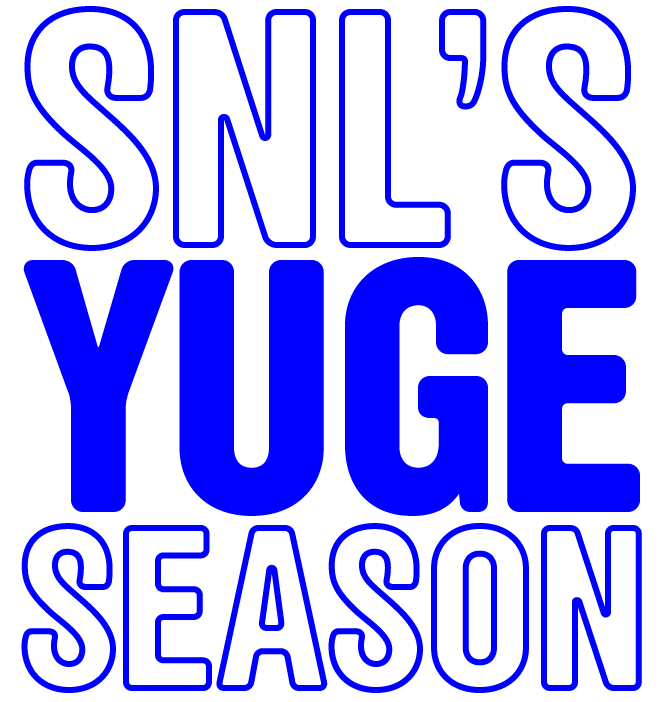 Not just one of this past season’s highlights but one of SNL’s in general, this sketch brings back Bayer’s pizza-roll-obsessed mom for a spiritual awakening (with a little help from Kristen Stewart). A perfect end to an underrated trilogy. Paired with her Trainwreck co-star Amy Schumer, Bayer is at her peak portraying a flight attendant just trying to maintain no matter what happens. This particularly exceptional installment of the sketch showcasing Bayer’s pitch-perfect tween pop star impression features an unlikely Johnny Depp from Paul Brittain, and a really committed Billy Ray Cyrus from host Bryan Cranston. It’s an impression so good, you’ll forget what the actual Miley Cyrus sounds like. In this cheery infomercial parody, Bayer and Sarah Silverman try to out-friendly each other with extremely upsetting results. A longtime veteran of the stage, it’s no surprise that Bayer is great at playing overblown, overly proper ladies from past eras (like in the RKO sketch from this season’s finale). Here, paired with a very proper Louis C.K., she’s definitely giving leading-lady vibes. Truly cuuuuute in her JAP meets J-pop costumes, Bayer’s cluelessly offensive, Asian-obsessed public access host was the perfect outlet for her boundless energy. An early favorite that played Bayer and Fred Armisen’s nervous energies off one another, with the added bonus of elaborate costumes. The ultimate precocious child, “newscaster of tomorrow” Laura Parsons was a natural Bayer character, bubbly and performative and innocent but with a bit of an edge. There was no better use for Bayer’s signature smile. Another unbearable child, the wise-beyond-his-years Bar Mitzvah Boy never knew how to take a joke, and Bayer always ended up making the Update hosts uncomfortable. In an instantly classic surprise cameo, even Jennifer Aniston couldn’t resist complimenting Bayer’s spot-on, very specific Friends impression. While the thought of Nasim Pedrad, Abby Elliott, and Bayer at all resembling Kardashians seems kind of baffling on paper, the trio ended up nailing the reality stars’ high-pitched ramblings. A recent addition to her arsenal, but a big hit nonetheless, nervous mumbler Dawn Lazarus was so great at giving the weather on Update, SNL brought her back in Bayer’s very last episode.